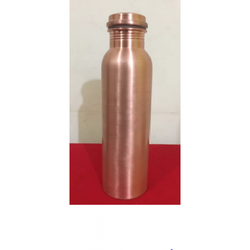 Leading Wholesale Trader of pexpo vacuum insulated water bottle, steel water bottle, copper water bottle, metallic water bottle, notebook water bottle and pure copper water bottle from Mumbai. Supported by diligent professionals, we offer an exquisite collection of Pexpo Vacuum Insulated Water Bottle to our valued clients. 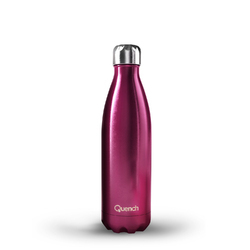 Engineered to stay dry, no sweat or leak - this bottle has been specially engineered to stay dry and no sweat or leak. Stop worrying about liquids sweating in your bag or purse. The sleek cola bottle design is compact and convenient. It fits comfortably in the cup holder in your car, the water bottle holder on your bicycle, or the water bottle pouch on your backpack, or wherever you want it to go. 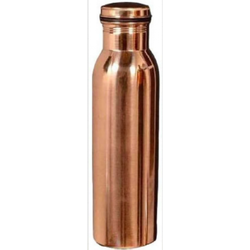 Since the starting of our firm, we are offering a wide array of Copper Water Bottle. Long Lasting Leak Proof: New and Improved Cap is made to be screwed on and is provided with a silicone washer to give you a long and leak-proof use. 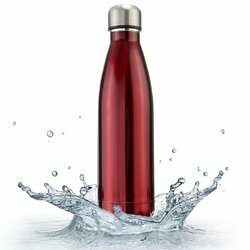 It is water tight with a seal that keeps the water out even when the bottle is upside down. Helps In Pregnancy: For Pregnant Women, having a glass of copper pot water is extremely essential. Pregnant women need copper as it helps in the formation of the unborn child's heart, blood vessels, skeletal and nervous system. Increases Water Consumption, Reduces Weight Joint Pain: The water tastes absolutely amazing if stored overnight and it makes you drink more, and more water which is definitely healthy and this, in turn, helps In weight loss and reduces joint pain. 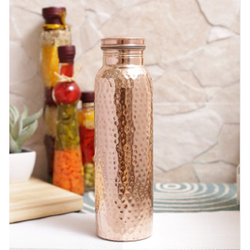 Makes You Look Younger Have Healthy Skin: The copper bottle water is Anti-Aging. It helps reduce fine lines, wrinkles, and patchy skin. Drinking water from the copper pot can thus help you look younger and fitter. It's a great brain stimulant, aids in water loss can fight off cancer: Copper actually helps in the formation of myelin sheaths, making your brain work much faster and more efficiently. Apart from fine-tuning your digestive system to perform better, copper also helps your body break down fat and eliminate it more efficiently. 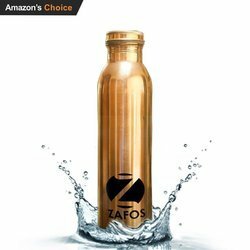 Metallic Water Bottle - safe for drinking. Metallic Colours. Strong and sturdy. Non-toxic. Thicker gauge for high durability. COLOR WILL VARY. Rustproof and hygienic easy to carry can be used for office and gym. 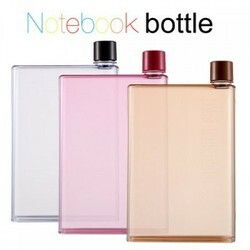 We are engaged in presenting an extensive range of Notebook Water Bottle.